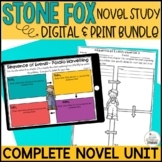 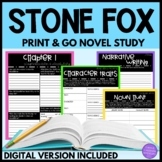 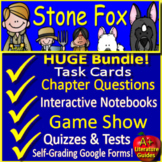 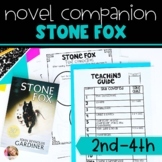 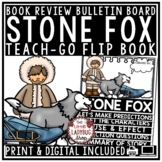 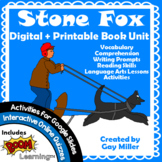 This novel unit for Stone Fox by John Reynolds Gardiner can save you hours of prep for your literature circles or book clubs. 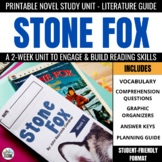 Daily comprehension practice requires students to focus on text analysis and responding to literature, and the vocabulary focus builds word knowledge and academic vocabulary. 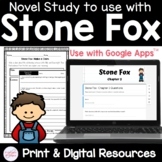 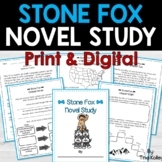 Stone Fox novel study - Focus on Fluency! 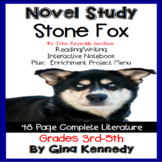 Stone Fox Novel Unit 23 page unit consists of vocabulary activities,and comprehension questions for each chapter.Preview activity and open ended responses to complete after reading the book. 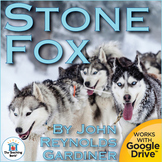 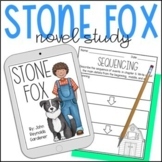 This is a comprehensive novel study for the novel Stone Fox by John Reynolds Gardiner. 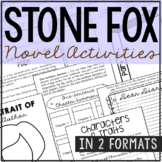 The book and activities that go with it are broken up into 10 sections that correlate to the 10 chapters in the novel. 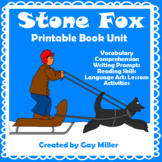 Each section contains comprehension questions for that section, and a literacy skill activity.